Servings per container: approx. 13 - serving size. 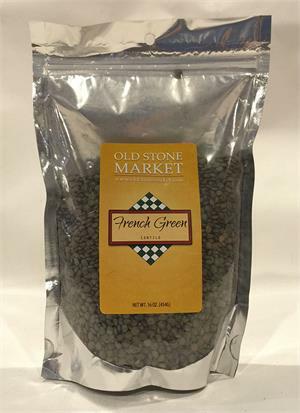 French Green Lentils perfectly compliment lamb, salmon and the French classic, Duck Confit. Make hearty and warming soups and stews, toss with wild rice for a delicious pilaf or create cold salads. 1/4 cup cooked (35g). Well-known for their culinary and dietary properties, dried vegetables provide vegetable proteins (without fat), fiber, minerals and are naturally poor in lipids.